The senior hurlers of Fr. Tom Burke’s and Galway meet in the first of their senior hurling championship games on Sunday at the ICC. With a long history of rivalry, each of these Western rivals will be eager to get off to a good start and chalk up an early win. Tom’s came out on top when the sides met in the Sheehan Cup a few weeks ago, however, with the addition of several summer sanctions for each side it is going to be anybody’s game. Tipp will be looking to add a championship win to the Sheehan Cup on Sunday. The junior A hurling championship also commences when Wexford and Tipp meet to open the day. Tipperary looked impressive winning the Sheehan Cup and most of these players will be fielding on Sunday. For Wexford it is going to be their first outing of the season, so a slow start would not be surprising. Both of these teams will contain numerous home based players, so expect a game with a bit on an edge to it. 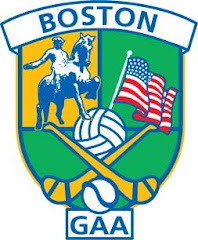 The Boston Shamrocks and Connacht Ladies meet again Saturday. The Ladies senior footballers commence their championship Saturday afternoon. The champions, Boston Shamrocks, got off to a winning start by capturing the Orla Benson Cup earlier this season. Connacht Ladies will have looked back at many missed chances in that game and with sharper shooting from the Westerners, this game could be close. Two senior football games are sure to serve up a treat on Sunday. First is Aidan McAnespies who are looking to add another win to their unbeaten season. They will face a determined Galway team who will be looking to fine tune their efforts following a mixed performance against Wolfe Tones. Galway at times looked unstoppable, and at others, could not get moving. McAnespies have a strong looking side and with a mix of speed and muscle can dial up either side of their game if need be. Wayne Guthrie and the Blues will face Donegal Sunday. Shannon Blues and Donegal each notched up a win last week. Both teams looked impressive. The midfield battle will be one to watch. In Brian Donnelly for Donegal and Wayne Guthrie for the Blues there are 2 top class players going head to head. The Blues might have an advantage in that the players are well familiar with each other, while Donegal still look like they are getting to know each other on the field. This game will be one to look forward to Sunday at 4:30.